FREE Dash Duster w/ CalTrend Seat Covers See More. The CalTrend Oxford Velour seat covers are the perfect choice to help you protect and personalize your car, pickup, or SUV interior. 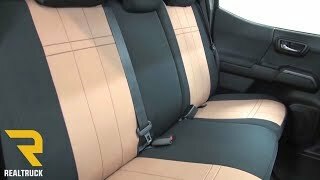 CalTrend Oxford Velour truck and car seat covers are made of 100% Polyester and are selected for the best in softness and to match that original factory look. The plush velour fabric is not only built to last, it brings out the best in every interior. 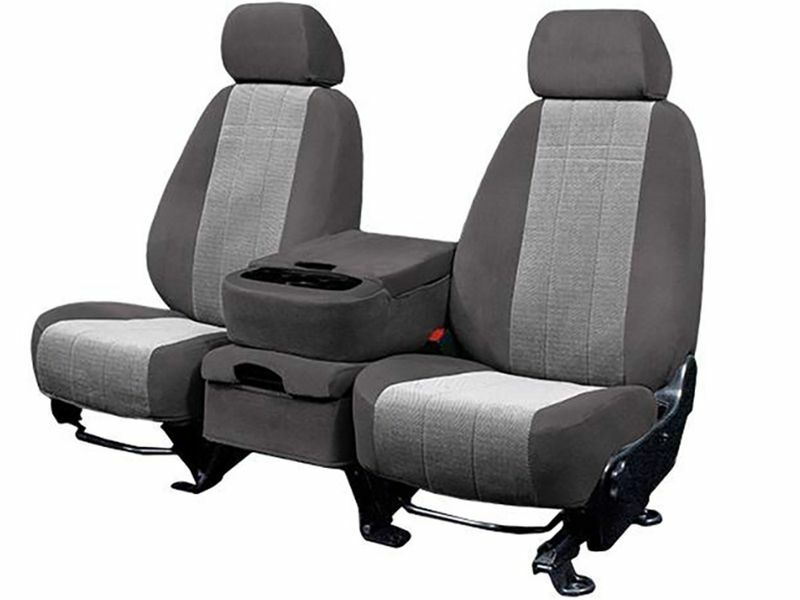 These seat covers feature high breathability, a stretchy snug fit, and flame-resistance. We do recommend trying to avoid testing that last one out! CalTrend Oxford Velour seat covers are easy to clean with just the wipe of a damp cloth. They are also equipped to allow side seat airbags to deploy without any hesitation upon impact. These seat covers are going to add unsurpassed protection as well as a look that won't go unnoticed. Protect that investment you have made in your vehicle, pick up a set today here at RealTruck.com! Oxford Velour seat covers are custom made to order. Custom built "made to order" products are non-returnable except in the case of warranty. CalTrend's warranty policy is repair or replace. If you have any questions and need help ordering, please call. We want to make sure your seat covers are ordered correctly to ensure you get the right seat covers for your vehicle. To ensure the front and rear seat cover material matches, please order the front & rear seat covers in the same order. CalTrend Oxford Velour seat covers are simple to install. Requiring no tools and come with easy to read instructions. If you have any questions please let us know at 877-216-5446.